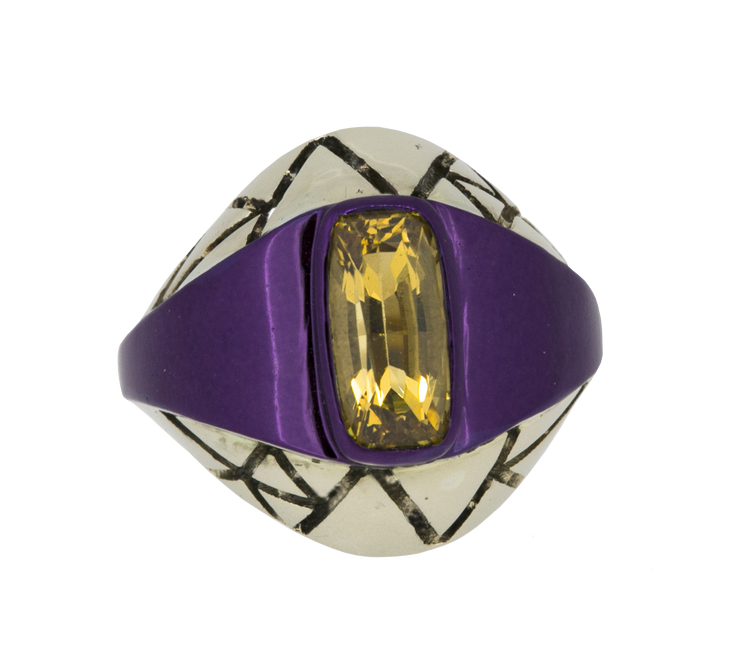 I recently found out about The Rock Hound, a jewelry company that I am so excited to blog about. At the helm of The Rock Hound is the founder and designer Susi Smither. Based in East London The Rock Hound uses responsibly sourced, raw materials to make distinct and off beat pieces that are original in design. The Rock Hound is a Fairtrade Gold Licensee. 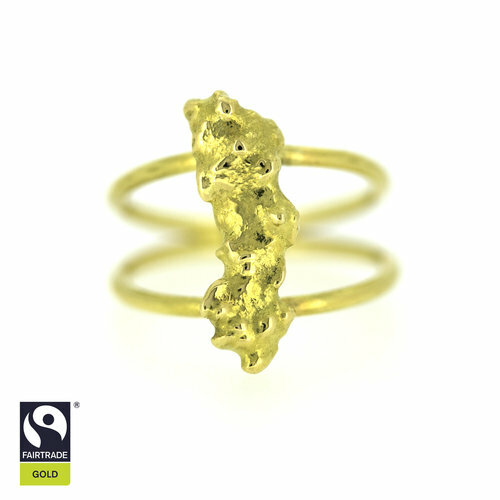 In October of last year they launched their Fairtrade collection, Gold Rush in. Inspired by the journey of gold from a nugget to the market, the pieces in this collection are made by hand in the studio from 18ct Fairtrade Gold. Prices for this collection start from 360 British Pounds, which is approximately $443 U.S. dollars. 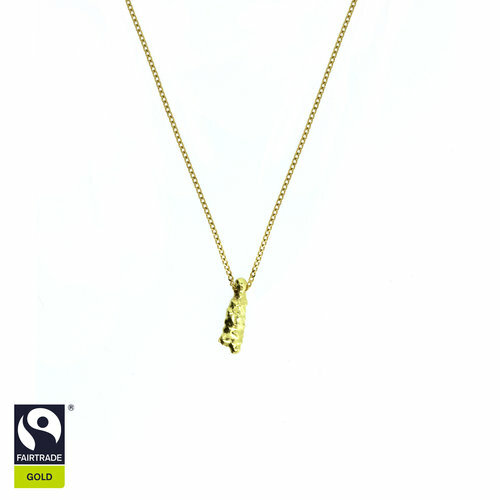 The Fairtrade Standard for Gold basically means the gold has been mined responsibly and the miners have been guaranteed to receive a fair minimum price and a premium to spend on improving his or her own business and community. Small-scale mining organizations are required to meet the strict Fairtrade standards on working conditions. Some of these conditions, to name a few include: No Child Labor, Gender equality, and health and safety. 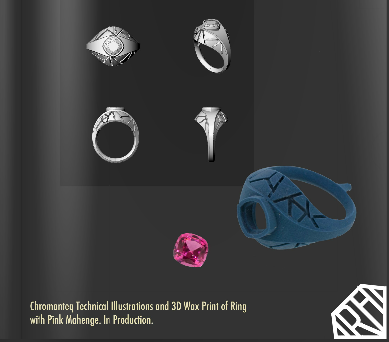 The Rock Hound's latest collection, Chromanteq, uses colorful, uniquely cut, responsibly sourced gemstones (3D scans them to ensure a perfect setting for that gemstone). The pieces are then cast in recycled precious metals and coated in a kaleidoscope of nano-ceramics. No two pieces are ever the same. "With Chromanteq. I've accumulated gemstones which are the embodiment of colour and life. I've designed each piece to show this off to the maximum and have used complimentary colours to make the pop" Susi Smither. This collection starts at 4,800 British Pounds which is approximately $5,906 U.S. Dollars. Coco & Cyd are always happy to support and acknowledge businesses that focus on ethics and sustainability. It is so special to find companies that not only create beautiful products but also create meaning and make a difference in our world. Fashion should be more than just an item hanging in a closet, it should make you feel powerful, special, and good from the inside out. Join our email list and we'll send you our monthly newsletter where we talk about fashion trends, inspiration, tips, and special promotions.